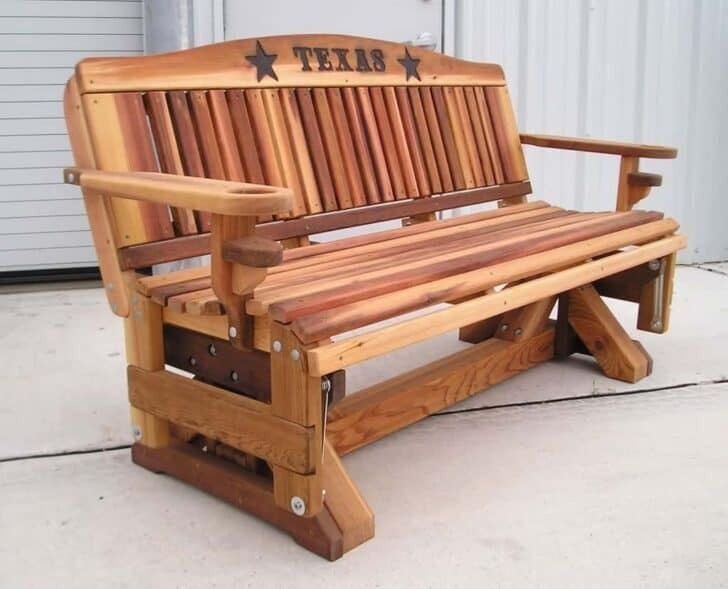 Today, we are going to give you some good ideas for making a wooden bench. 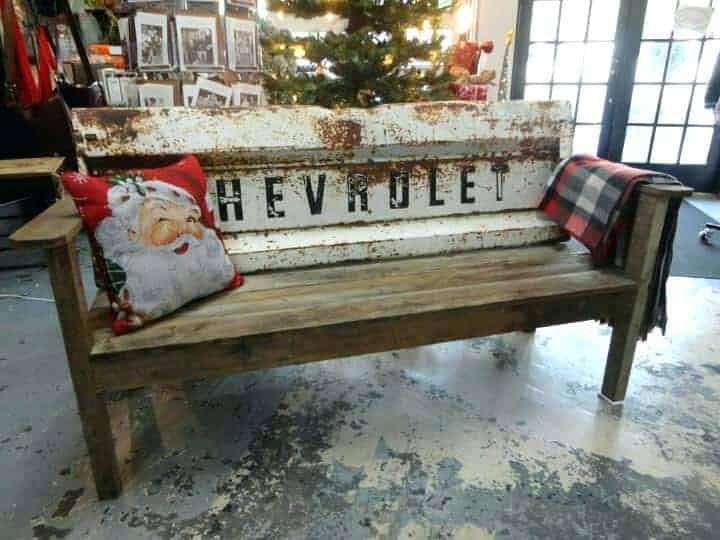 It's a good alternative to expensive furniture and you can make it as you like. 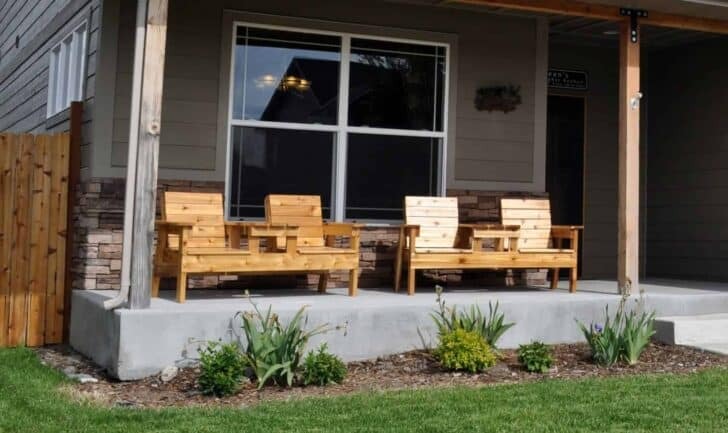 These garden benches will help you define the garden and create comfortable chairs for your family. To enjoy your garden during the summer months, think of the garden bench to sit back and enjoy the sun. 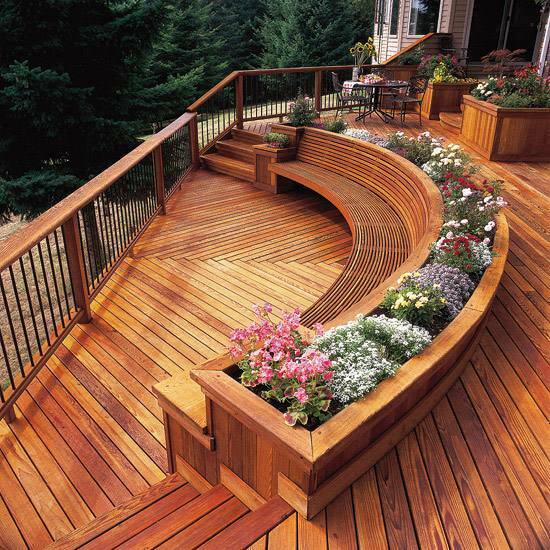 The wooden bench can be used to set the limits of the terrace, for example, and it will also give a personal touch to your garden. Such a bench offers enough space and is an intelligent solution thanks to its simple structure. 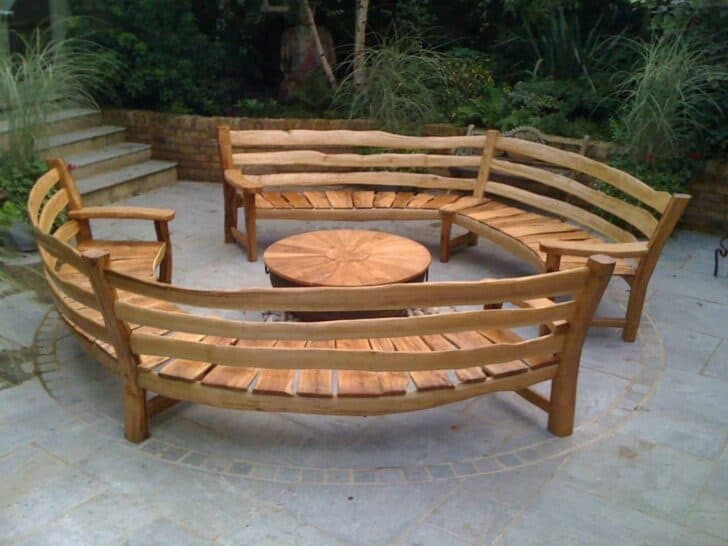 The outside bench with backrest - circular or rectangular - is a good piece of garden or terrace furniture. Straight and classical or customized and unusual, the garden bench is nowadays a choice place outside to accompany the warm days of the whole family. 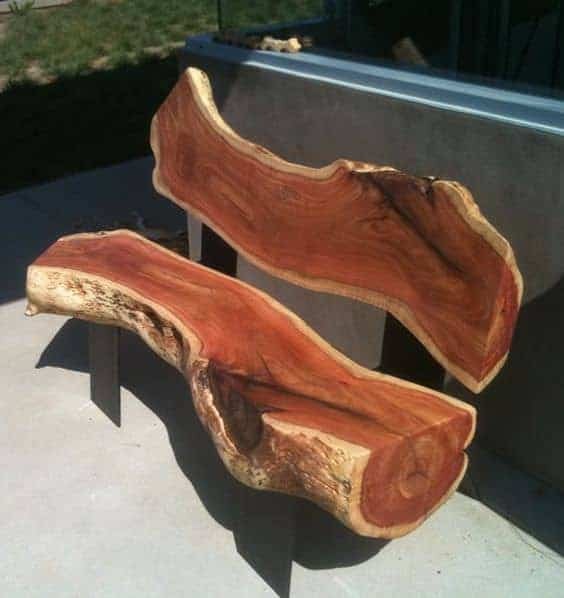 Did you think that a DIY wooden bench looks rough and not very aesthetic? Be mistaken, because an adapted mattress or a few outdoor bench cushions give the wooden bench a modern look. More cocooning and comfortable, the wooden bench invites itself to the garden to offer children and adults a relaxing corner under the open sky! 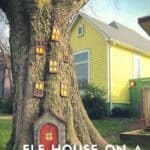 Still hesitating to make a wooden garden bench? Read on and discover the interesting ideas and tips our editorial staff has to offer. A garden bench is a decorative element in its own right and a relaxing piece of furniture where you like to sit and enjoy the outdoors. 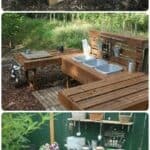 You can sit in small groups, read a book or admire your garden in complete tranquillity. It instantly embellishes the environment where it is installed: on a balcony, on a terrace, at the foot of a tree or near a flower bed. 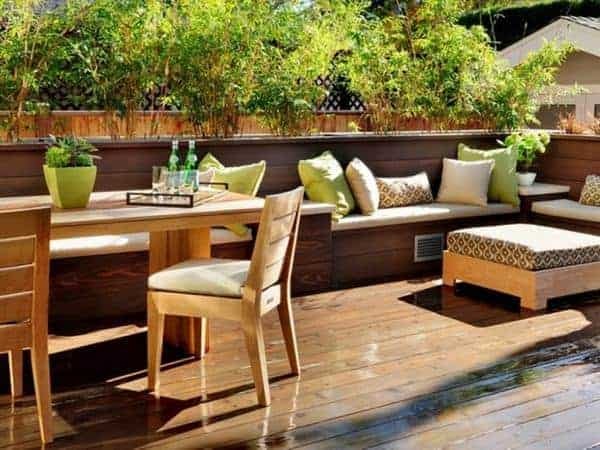 To complete an outdoor living room, choose an outside bench without a backrest that can be easily stored under your garden table, wooden, aluminum or resin bench, you will choose the material of your bench according to the use you wish to make of it. It exists for all styles from the most design to the most classic. 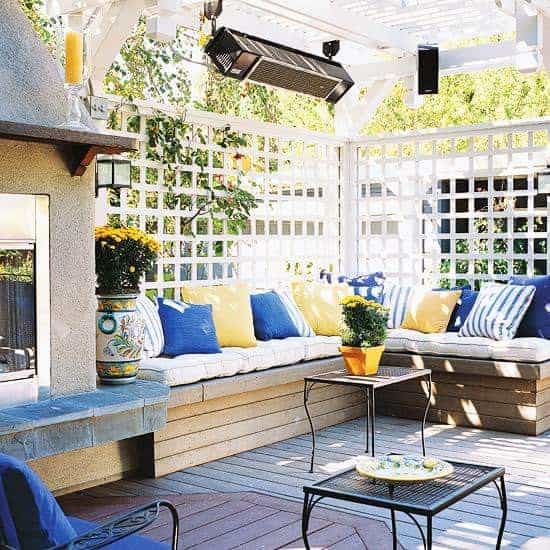 For more comfort, you can also place outdoor bench cushions. Successful exterior design means balanced proportions. The furniture must, therefore, be adapted to the space available, which will enable the whole to be uncluttered and enjoy a comfortable and tidy layout. This will increase the functionality of the garden and give it an elegant and contemporary character. Making a wooden garden bench is an ideal solution for Japanese, rustic or traditional gardens. The furniture can be equipped with a backrest and armrests for maximum seating comfort. In addition, flower pots integrated into the bench structure can also be produced. It's up to you to decide. 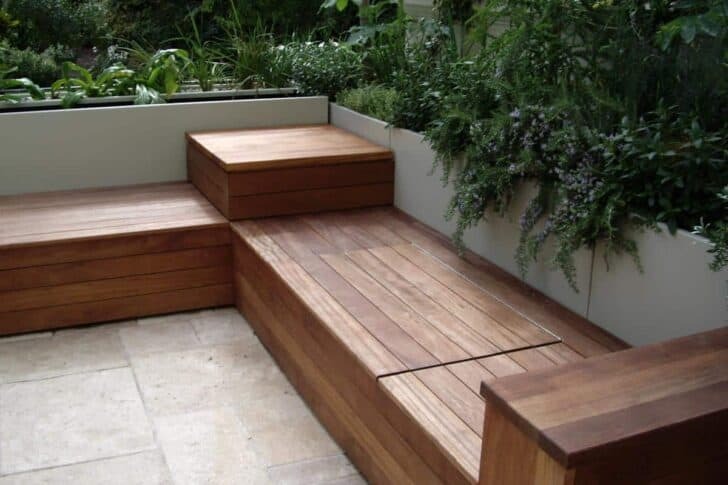 Depending on the size of your balcony, terrace or room and the number of people who will sit on the bench, you will evaluate the ideal dimensions for your bench to the centimeter! Bench in painted wood or natural wood, it's up to you to choose! 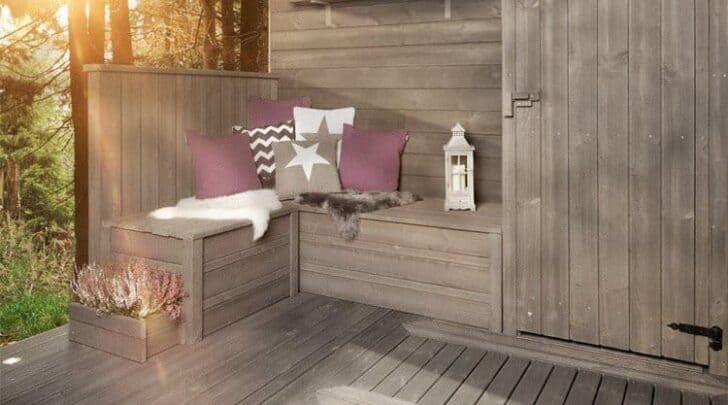 Regardless of the style of your garden, the wooden bench is one of the most popular furniture for the outdoor space. To buy one or make it yourself, the design of the garden bench comes in several versions, each one more interesting than the other. 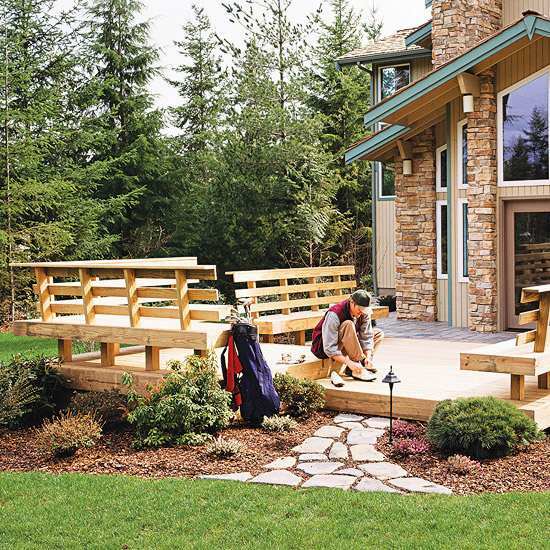 However, the surface area of the outdoor space does not allow the inhabitants to install a large outdoor furniture. 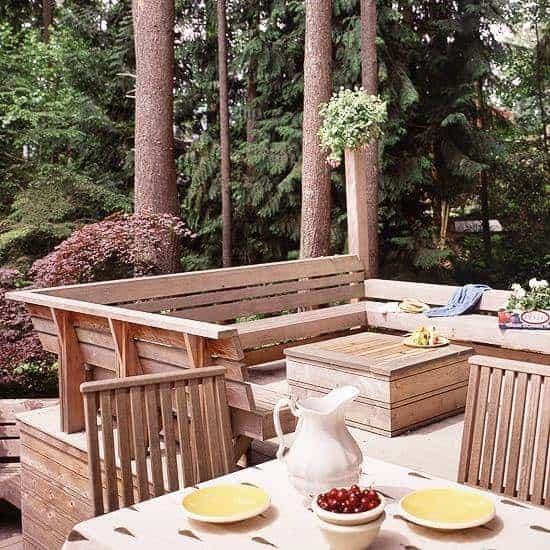 That's why building a wooden garden bench remains the only possible solution to fit out space with a tailor-made piece of furniture, adapted to the specificities of the ground. You can thus give free rein to your imagination and creativity and give your garden furniture the style and character you like best. 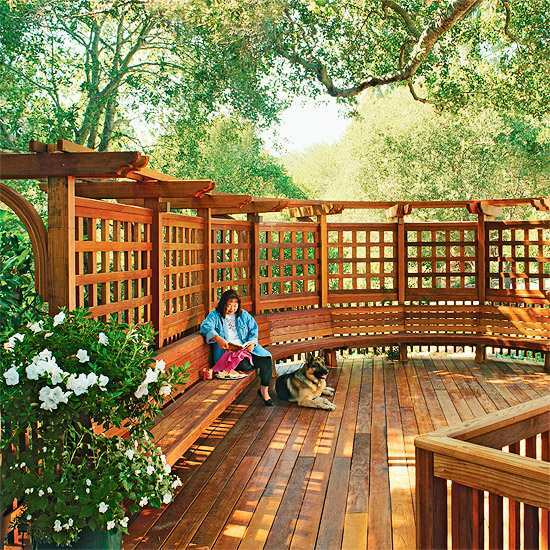 In order to build a wooden garden bench, we have many possibilities. First of all, you must choose the design that best suits the garden and its style. Then, it's the turn of the materials we plan to use. 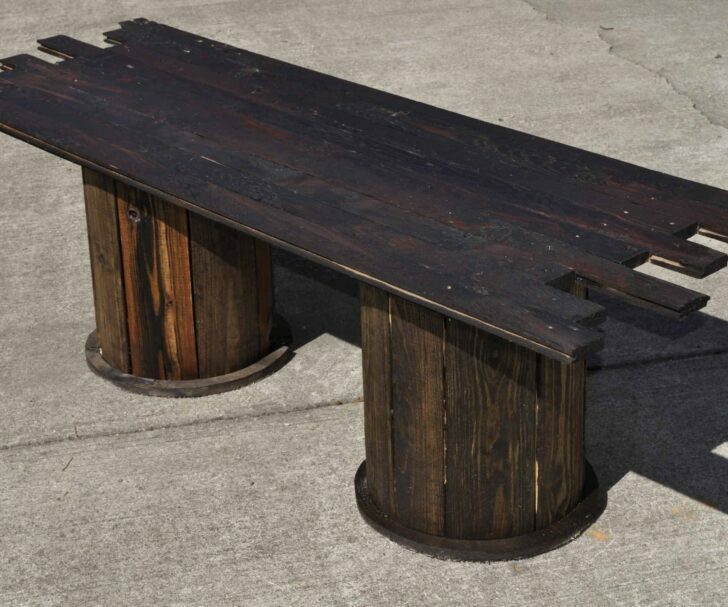 Large solid beams, slats or pallets, the choice of materials determines the design and style of the DIY pallet bench. Once the outside bench has been manufactured, it is advisable to sand it down to smooth the surface. Finally, the garden furniture can be varnished or painted to give it a special decorative touch. Untreated wood can quickly lose its shine if not properly maintained. The sun and rain will, in the long run, tarnish its natural beauty. 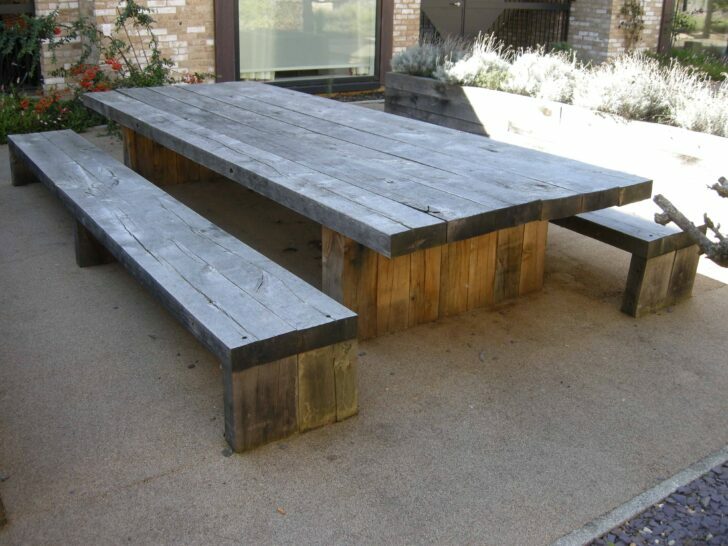 Here are some tips to choose the type of wood for your bench or other garden furniture. 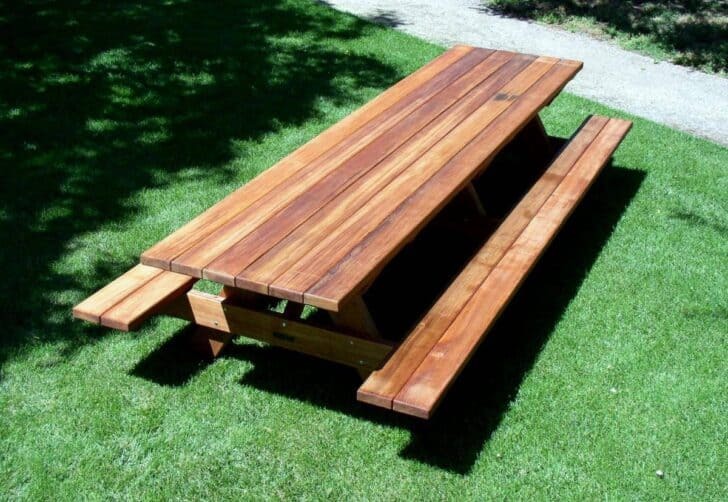 The picnic table directly echoes the picnic tables found on picnic areas in parks, campgrounds or on the side of highways. 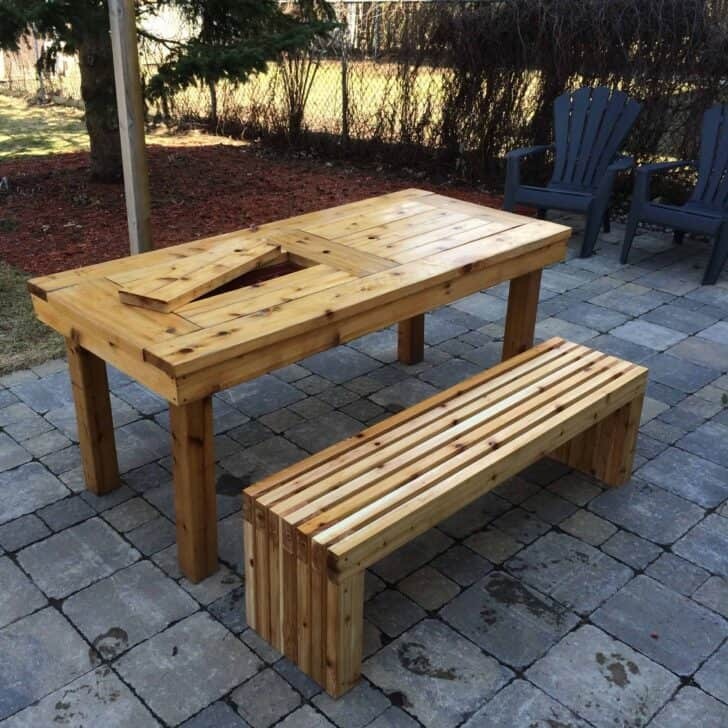 It is a wooden garden table to which two benches are sealed on both sides. Ideal for families since it is made of robust, practical and not necessarily expensive wood. 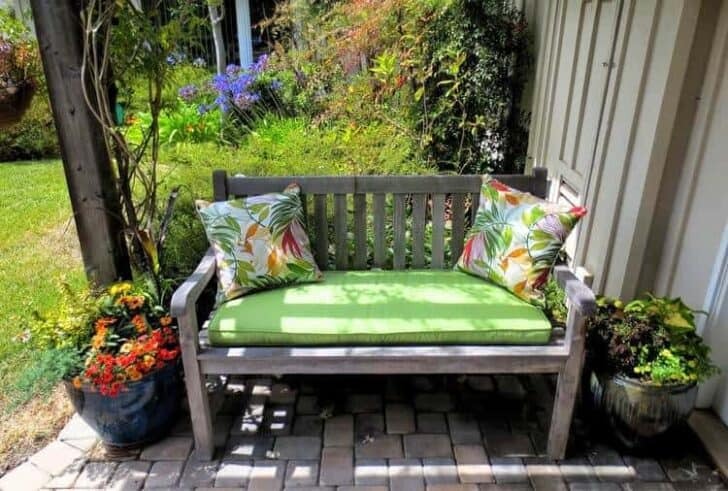 In the garden, on the balcony or on the terrace, a wooden garden bench will complete the idyllic decor of your exterior and will be combined in harmony with your garden table and chairs. 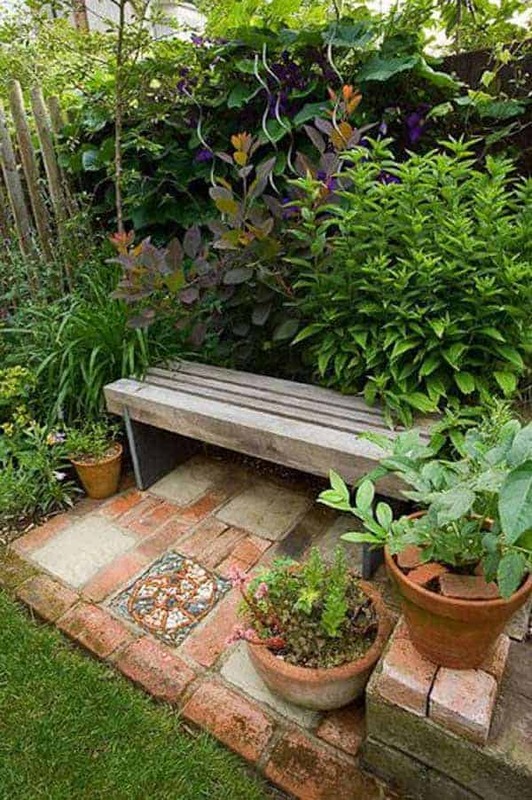 A wooden garden bench can also sit alone on a small terrace. In this case, choose an unusual and original wooden bench. In this little bubble, you can relax alone in the sun or chat with a friend all afternoon. To choose your model, think first of all about where you want to install it. There are indeed a few variations of the traditional table that best suit your needs. You will find tables with mobile benches, square models for four benches and even round tables with curved benches. Your choice will also depend on the number of seats you want. Last but not least, there are also picnic tables 100% dedicated to children. They will be more comfortable and happy to do "like the big boys". In wood or in the colored version, there will inevitably be a model that will please you. 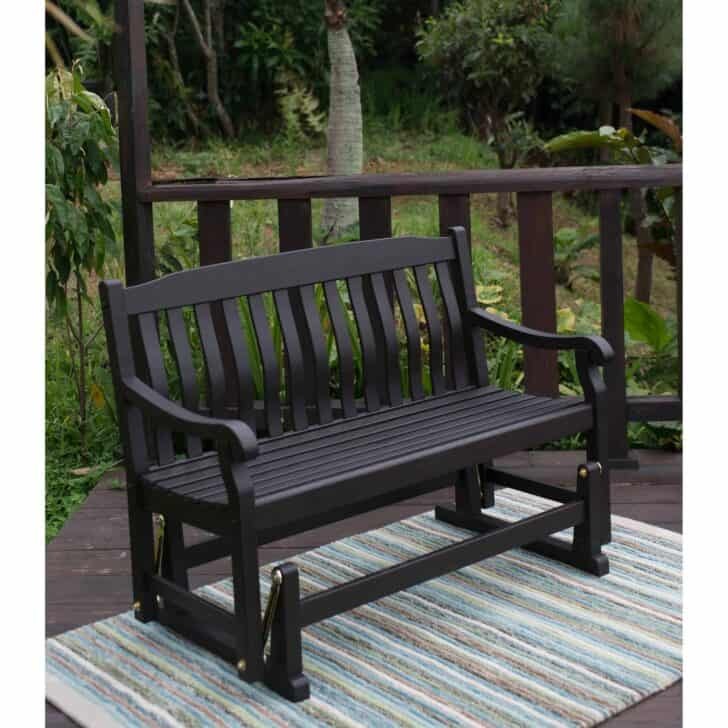 Teak wood garden bench: this is one of the most suitable woods for outdoor spaces. For example, it resists insect attack. However, as with all other types of wood, sun and rain tarnish the color of wooden furniture over time. 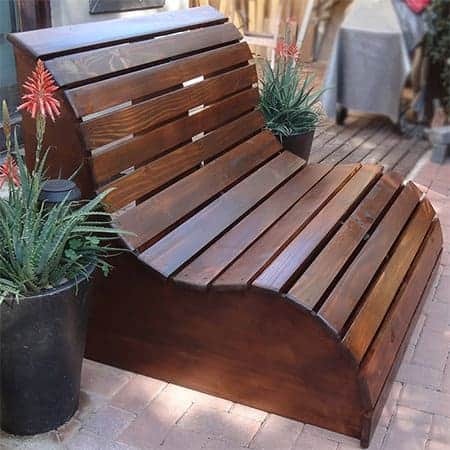 Garden bench made of beech wood: Beech requires much more maintenance than teak wood because it is less resistant to the elements. In addition, you will need a special oil to protect it against mold and insect attack. 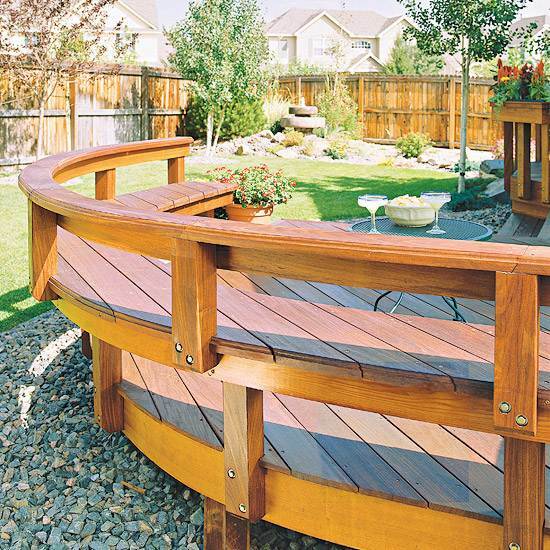 A circular wooden bench is a perfect decoration for your terrace. 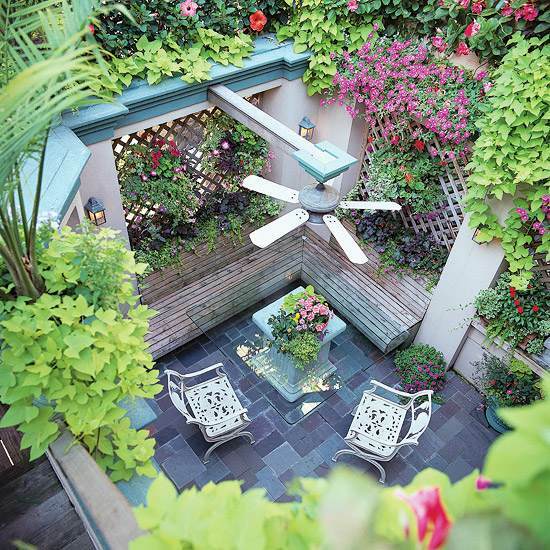 Well done and modern design, it ensures a magnificent view of the garden. A few wooden benches, located on the terrace - a few cushions of benches and lots of pretty flowers will make this beautiful place! It's up to you to enjoy the scenery and sunshine. 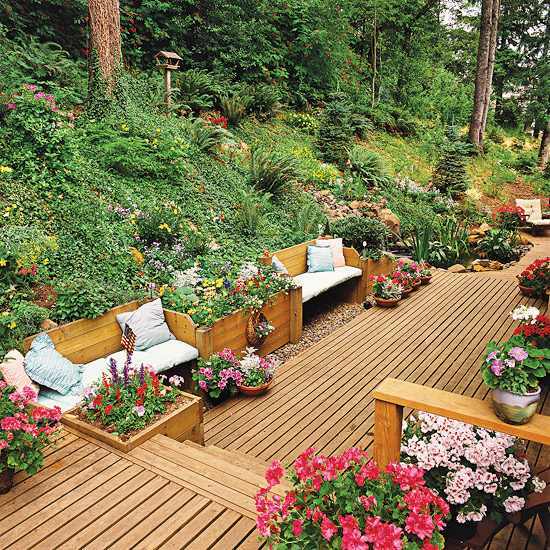 The wooden garden bench on the terrace is a good alternative to outdoor furniture. A nice tablecloth on the coffee table, a few brightly colored cushions - this is your favorite spot during the summer months. The corner bench in the garden is very useful. Modest but essential, it will give the place a personal touch. Flowers and plants are mandatory for a stronger effect. 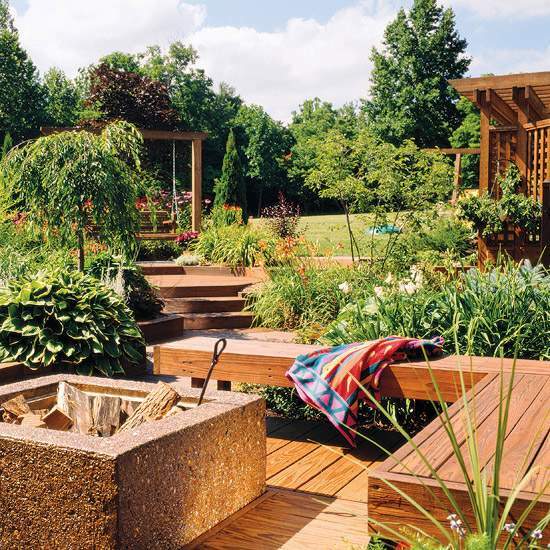 An all-wood terrace with benches and small coffee tables - to show that natural materials are important to you. 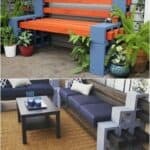 DIY home improvement, decoration, and furniture will give a personal touch to the garden, terrace and your home. 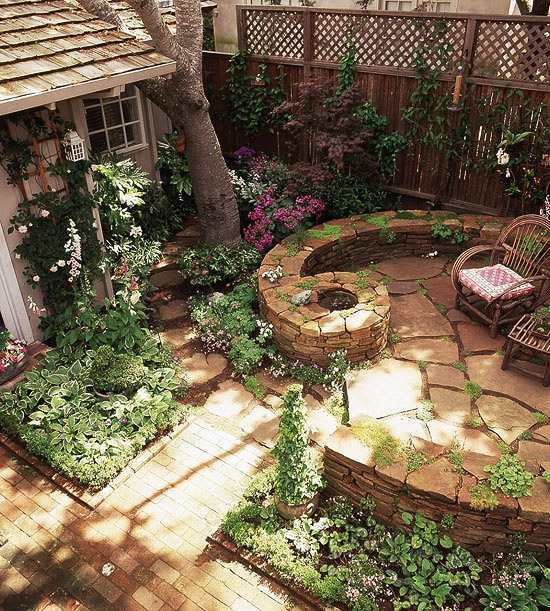 This stone retaining wall can be used to provide some additional seating. You can use the decorative spiral to install a small water basin. 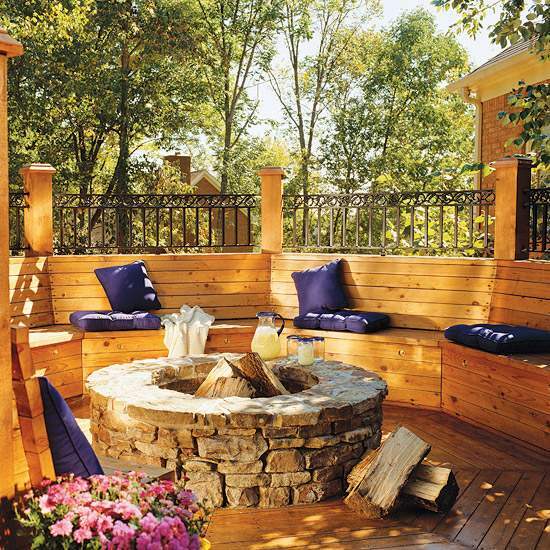 Wooden benches around a campfire are the ideal place to relax after a long day's work. 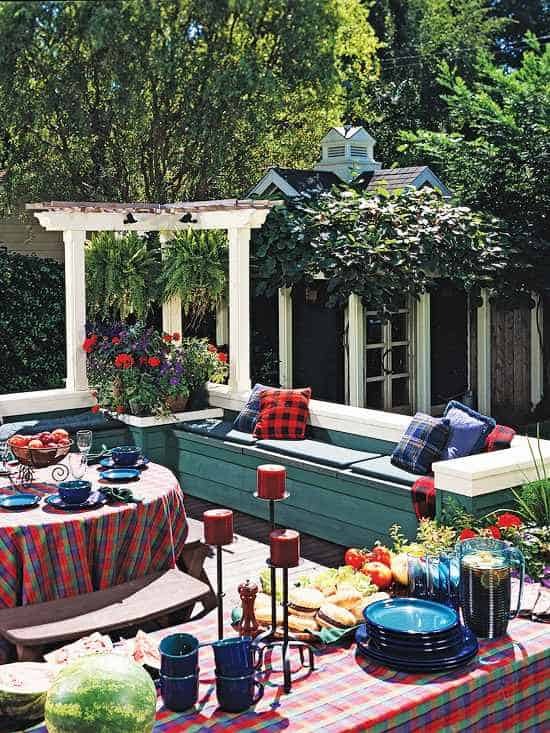 Stack a few brightly colored cushions on your wooden garden bench. A few flowerpots on the wooden shelves or on the coffee table - this will completely transform your terrace. The wooden bench above has a double use. The DIY furniture is therefore used to draw the limits of the terrace and provide additional seating for the whole family. 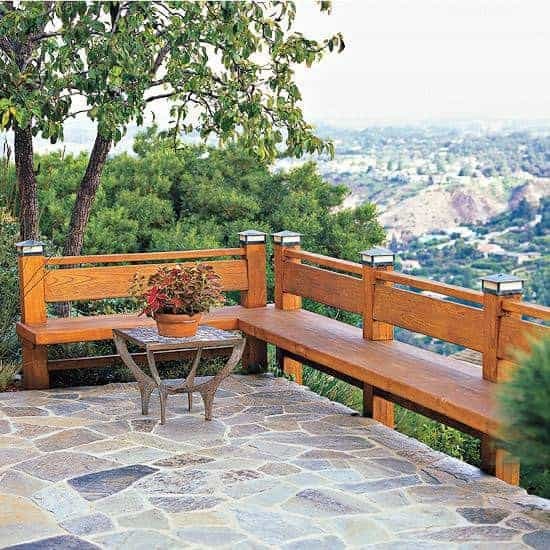 A terrace that offers breathtaking views can be well accompanied by a wooden bench. 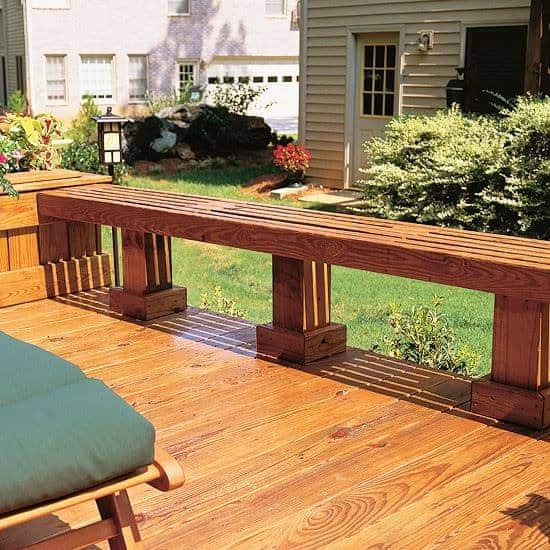 The mahogany wooden bench creates a comfortable and friendly corner while serving as a guardrail for the terrace. 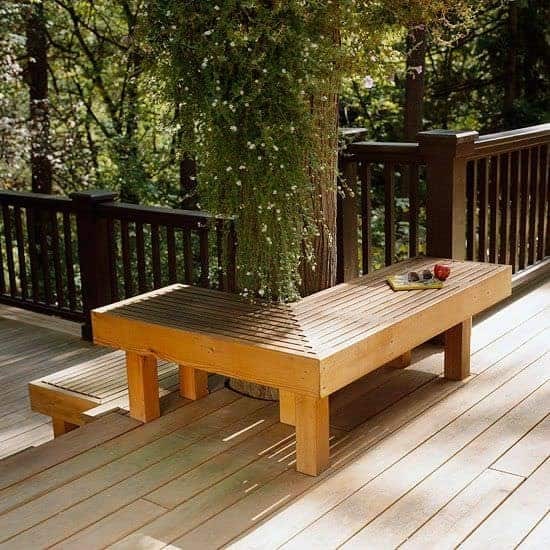 Comfortable and decorative, this cedarwood bench offers a solid and comfortable seat, leaning against the wooden fence. 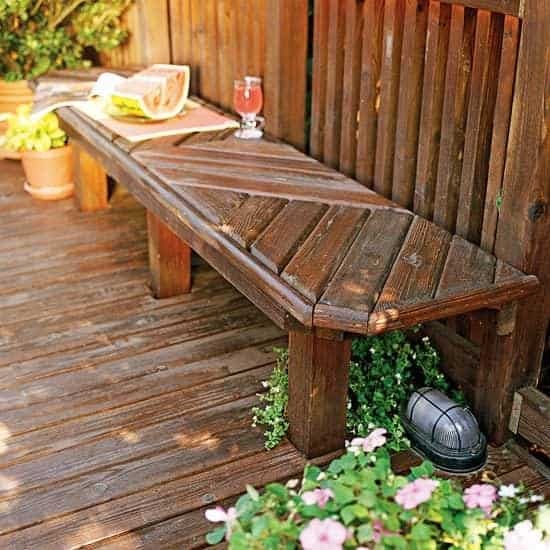 Making a wooden garden bench like the one above is not only an excellent idea to draw the limits of the terrace, but also to enjoy a relaxing outdoor corner away from noise and curious glances. The DIY furniture is an excellent solution for enjoying a space inviting to conviviality. 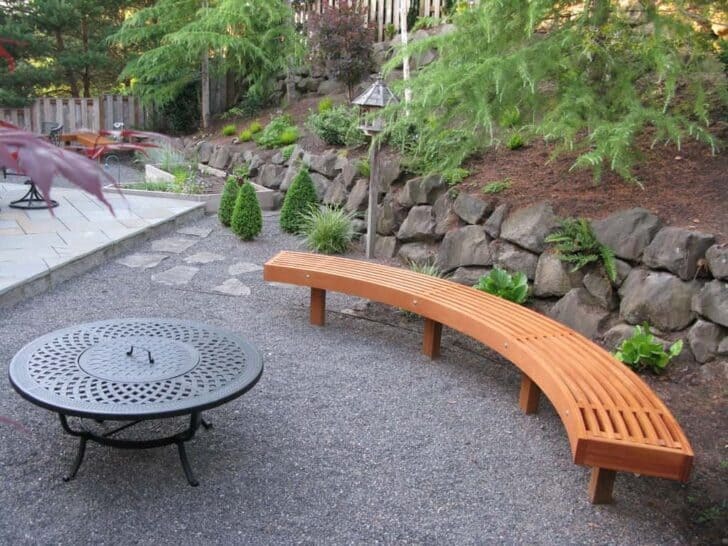 Very comfortable and adapted to the available space, this greyish wooden bench offers a beautiful view of the garden. The mesh screen will provide the comfort you need. As beautiful as it is comfortable and practical, this bench will perfectly suit a rustic garden. Only a few wooden battens will be enough to make a garden bench out of wooden tree tower. 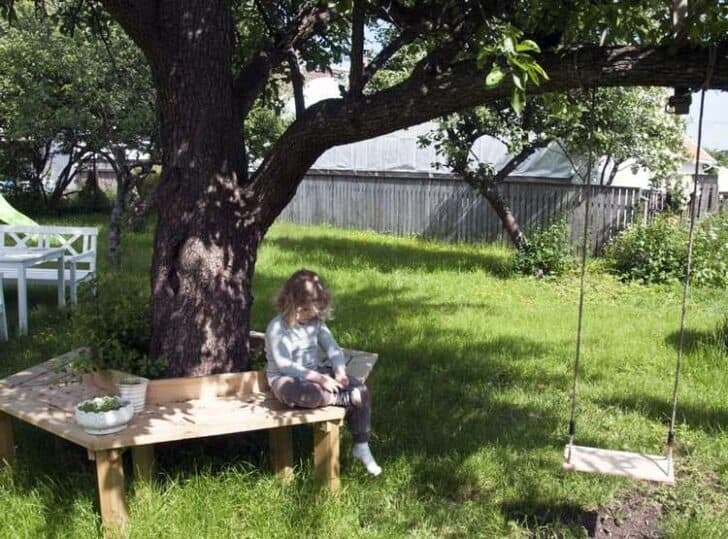 You will be able to surprise your loved ones and children with an original and practical bench model surrounding a tree in the garden. 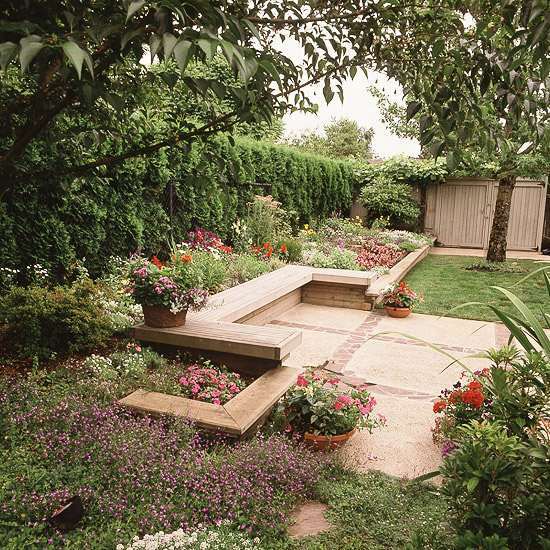 The little ones will really enjoy sitting on a bench like this and watching the garden and everything that goes on around it.